The RimQuest Mod adds quest givers to trader groups and caravans. This mod exists for those of us who feel that RimWorld could use a little more direction from time to time, and a good quest is just what we need! 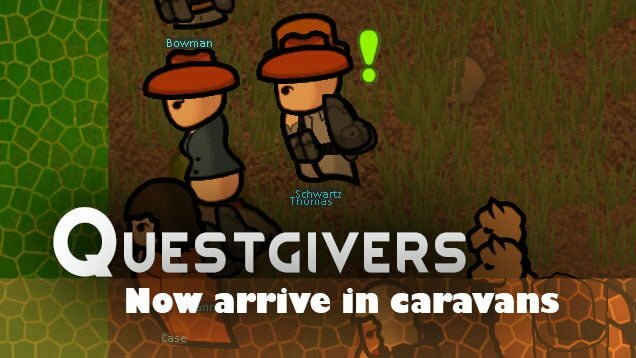 When a trader or caravan arrives, simply right click the character with a green exclamation mark above their head to see what quests are available. After accepting a quest, it will be available to you on the world map. 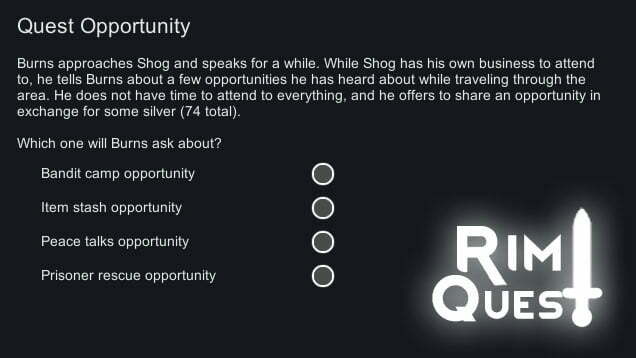 This version of the mod contains vanilla events from RimWorld, but more quests are planned to be added in the future. 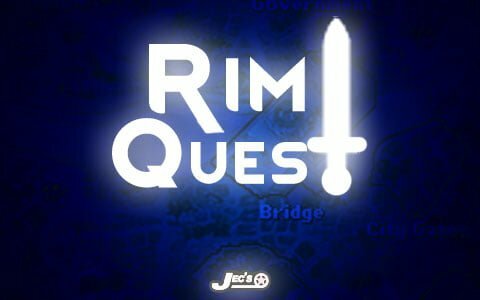 The RimQuest Mod is perfect if you want a quest-driven gameplay, explore the map and have more incentives to get out of the “safety” of colony.